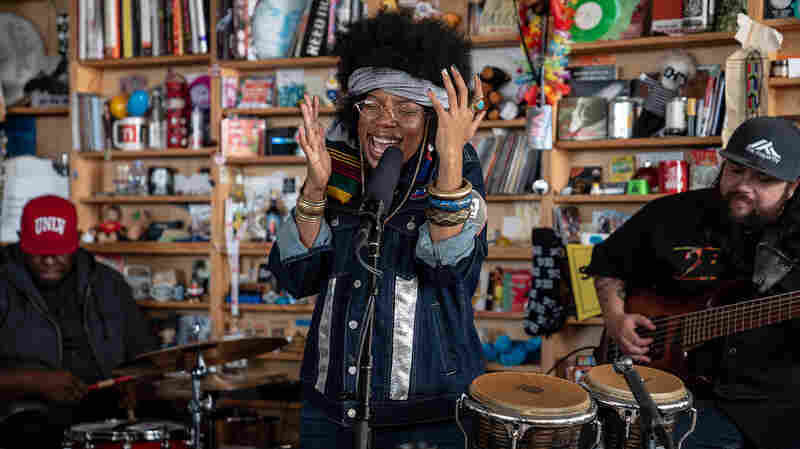 Tank And The Bangas: Tiny Desk Concert Tank And The Bangas' victory lap around the Tiny Desk was momentous, celebratory and deeply touching, with a flair and alchemy of styles that could come from New Orleans. 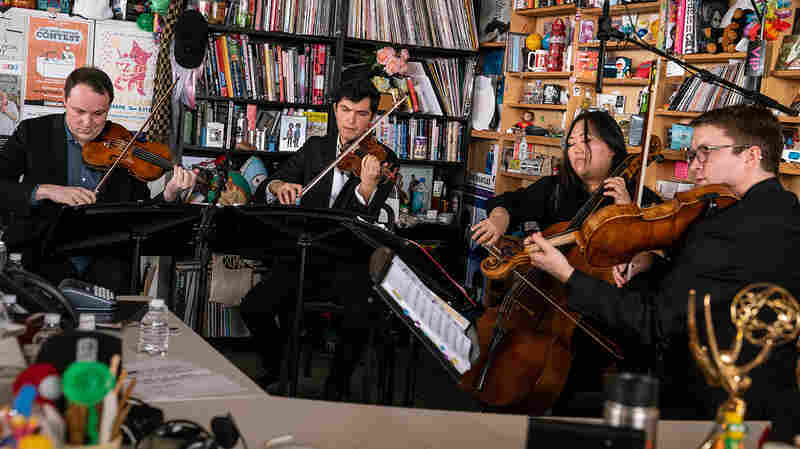 Out of over 6,000 entries — more submissions than we've ever received — Tank And The Bangas won, unanimously, this year's Tiny Desk Contest. I fully expected their victory performance here at NPR headquarters in D.C. to be celebratory. I didn't know we'd all end up in tears. 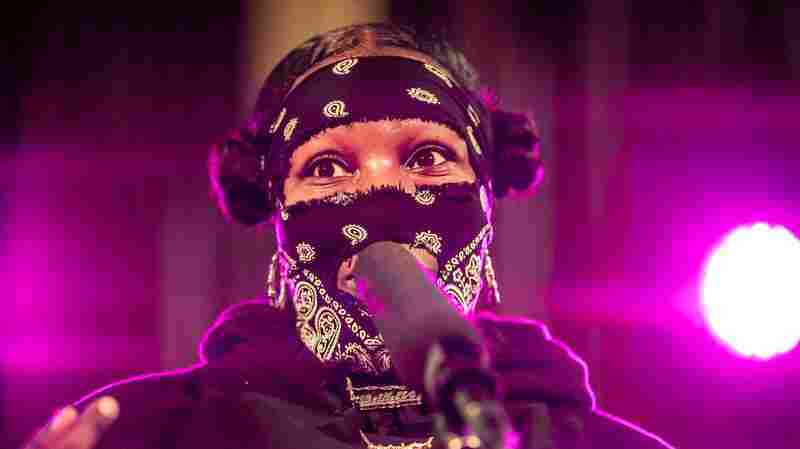 This band combines R&B with hip-hop's poetry and rollercoaster storytelling, with a flair and alchemy that could only come from New Orleans. 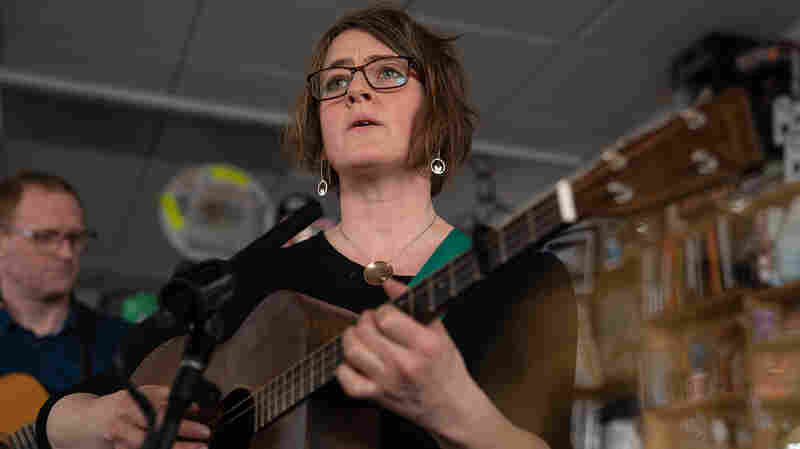 Their winning song, "Quick," mixes liquor and revenge — a sort of modern day take on a great folk tale, but peppered with their own idiosyncratic flair and humor. What I couldn't see, until they took over my desk, was the depth of their lyricism and the versatility of their players. At one moment fun-filled funk, the next laid-back jazz, rhythm-driven blues — and it all flows seamlessly. 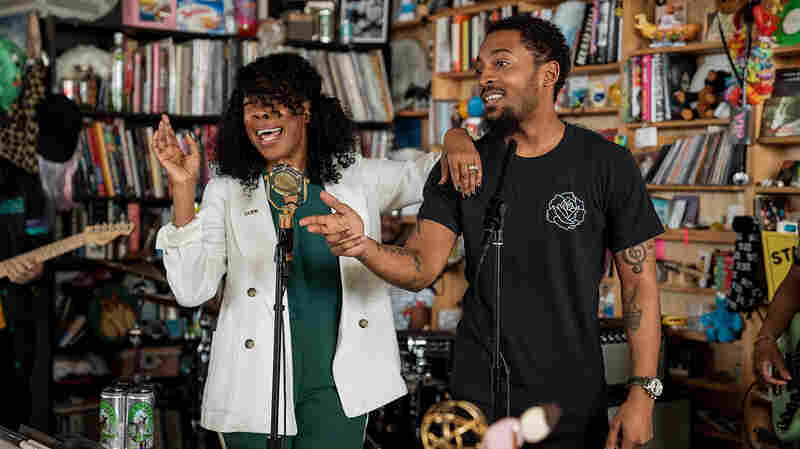 And it's fun to watch: There's a magic kinship between Tarriona "Tank" Ball and Anjelika "Jelly" Joseph as they share singing roles, like two best friends finishing one another's sentences. 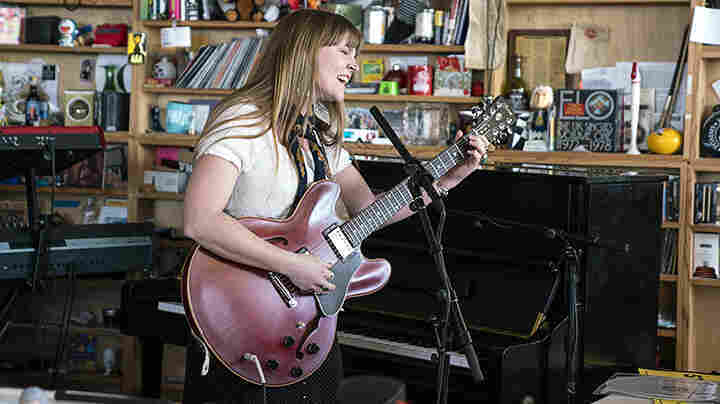 This is the third year that NPR Music has put out a call in hopes of finding a shining star. I'm still amazed how, after sifting through thousands of videos from abundantly talented musicians, we can find a common winner amongst a range of judges with such different musical backgrounds. 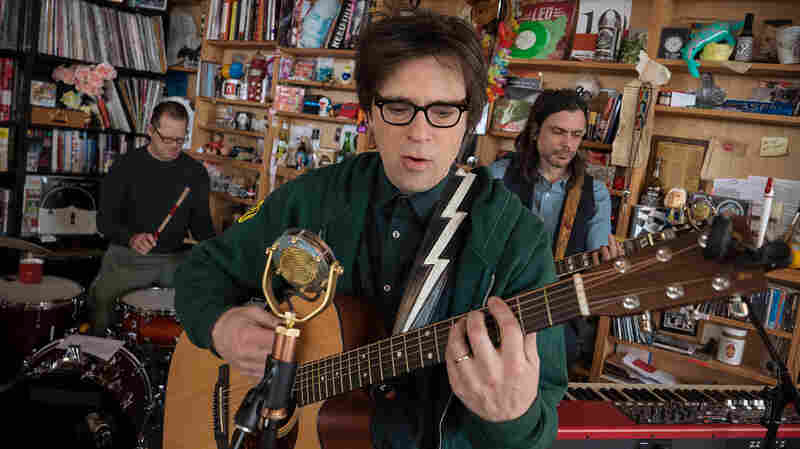 But in the end, my All Songs Considered co-host Robin Hilton, Trey Anastasio (Phish), Miguel, Anthony Hamilton, Ben Hopkins (PWR BTTM), BANKS, and folks who listen to an awful lot of music — NPR member station hosts Rita Houston (WFUV), Talia Schlanger (WXPN), Stas THEE Boss (KEXP) — and myself were all equally charmed, delighted and captivated. And so here it is, a chance to see an artist truly blossoming. It's just the beginning: A few years ago, for our first Contest, Fantastic Negrito won our hearts. This year he won a Grammy. Last year Gaelynn Lea, an unknown violinist, teacher and singer sent a video captured on a phone and won our affection and souls. 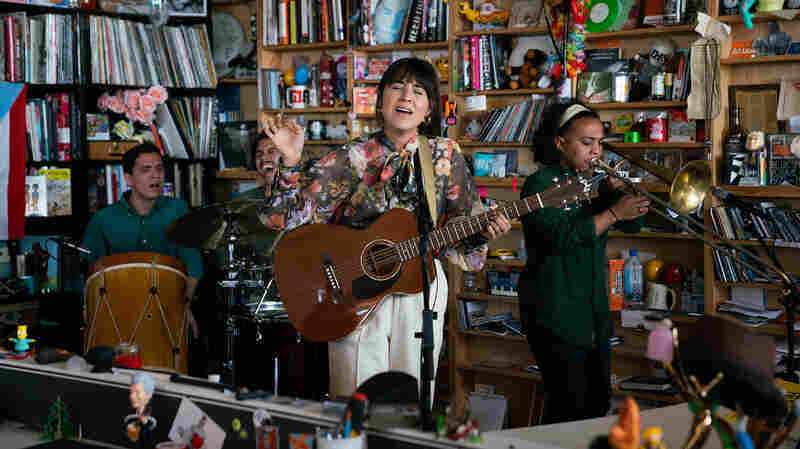 A few weeks ago, her Tiny Desk Concert had been seen more than a million times. These days she's taken to the road, touring the world. 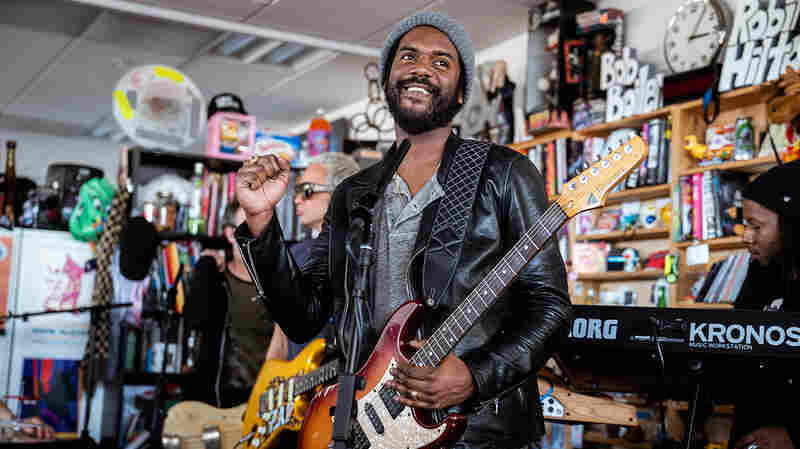 Tank And The Bangas will be hitting the road in April with NPR Music to find their new audience — I'll be along for the ride — visiting many of our member stations with help from those music-loving beer brewers at Lagunitas. I can't wait to see the reaction in these crowds' eyes, as they fill with wonder and tears like ours did, experiencing this band for the first time. 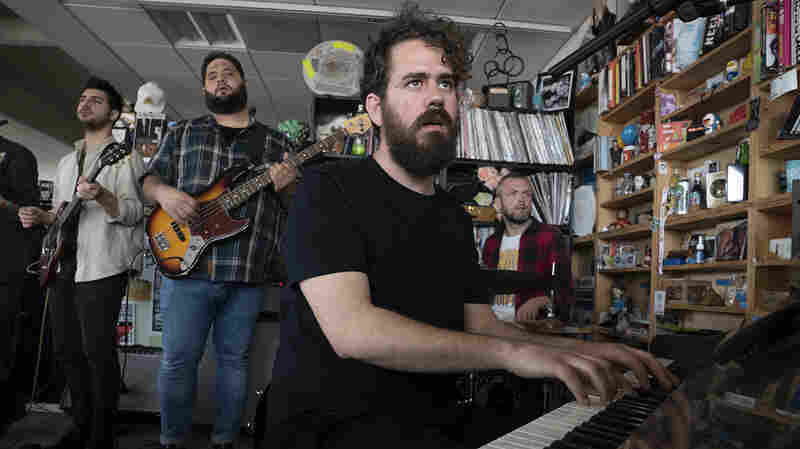 Producers: Bob Boilen, Niki Walker; Audio Engineer: Josh Rogosin; Videographers: Niki Walker, Nick Michael, Bronson Arcuri, Morgan Noelle Smith; Production Assistants: A Noah Harrison, Ameeta Ganatra; Photo: Niki Walker/NPR.